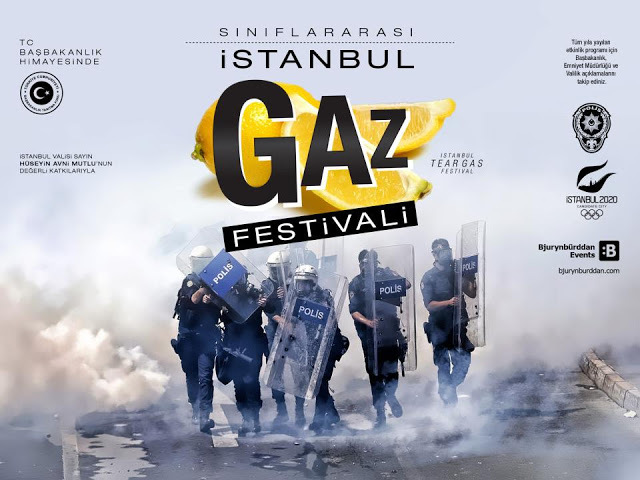 Just as Gezi Park’s Interclass Istanbul Gas Festival began in June 2013, another protest for the environment, smaller in scale, took place further east in Turkey’s Munzur Valley. The confluence of the Munzur and Pülümür Rivers, near the city of Tunceli, is known as the Jara Gola Çetu and considered sacred by many local residents. First threatened by the Uzunçayır Dam and Hydroelectric Power Plant (HEPP) in 2009, construction companies, at the time, promised local authorities that the area would remain untouched. 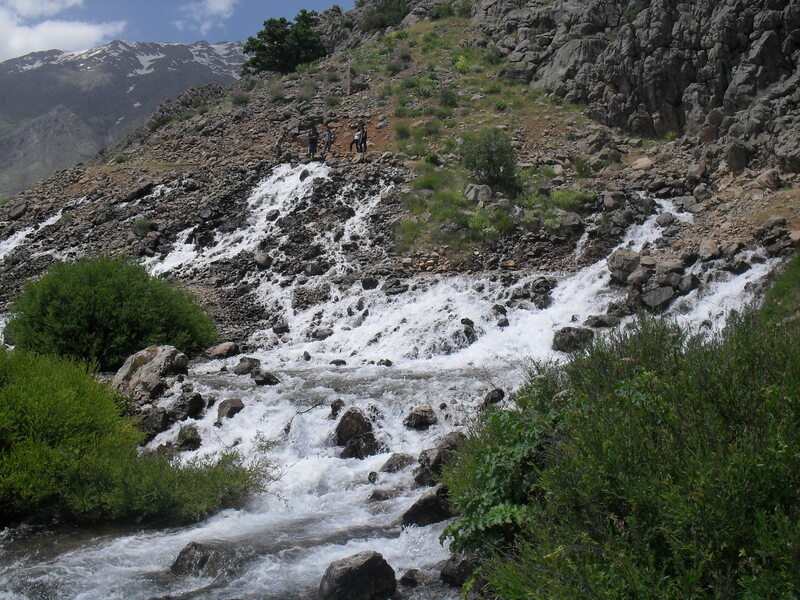 Two years later, however, the Tunceli municipality and its BDP (Barış ve Demokrasi Partisi) mayor were sued by Turkey’s State Water Works (the DSI or Devlet Su Işleri) and fined 2.2 million liras for having transformed Jara Gola Çetu into a park. Sparked by the probable rise in water levels and a recent court decision to demolish the park, these most recent demonstrations might have little chance of saving the Jara Gola Çetu from its fate. Eight dams have been planned along the 85km long Munzur Valley. If two of them, Mercan in 2003 and Uzunçayır in 2009, are already operating as HEPPs, the status of most other dams on these tributaries of the Upper Euphrates remains unclear. Known for its unique and diverse fauna and flora, the Munzur Valley was declared a national park in 1971 under the supervision of Turkey’s Ministry of Environment and Forest. It has unfortunately not fared well, to say the least. The valley, for instance, has suffered from environmental degradation over the past 30 years due to deliberate forest burning. Furthermore, the laws designed to protect the valley have been, for the most part, ignored when it comes to building dams. Maggie Ronayne (pgs. 50-51) explains how people were forced to sell their lands to the state in order to create the park in the 1970s. If locals kept the right to use the land, not owning it meant having very little say in its future use. Additionally, it alleviated the state from having to compensate anyone for plots submerged by later dam constructions. More recently, the law on national parks was amended in 2004 allowing private companies to lease, for at least 49 years, such protected areas for construction or mining projects. Understandably, when its supposedly protected status as a national park was not able to save the Munzur Valley, local people felt it was their responsibility to do so. The Uzunçayır Dam has inundated a countless number of local plane and poplar trees, some of which were more that a hundred years old. Other dams will also destroy the valley’s natural landscapes and deteriorate the delicate balance between humans and animals. Activities that have sustained families for years such as animal herding or apiculture will also be rendered obsolete. Dams in the valley further isolate villages, disconnecting them from the center of Tunceli and from, among other things, emergency medical services. In the end, more dams means more villagers leaving the valley, more communities broken apart, and less chances for families displaced during the recent conflicts between the army and the PKK to return home. If these large infrastructures are so harmful, why then are they built in the first place? When considered all together, Marie Le Ray writes (par. 41), the estimated production of the Munzur Dams is negligible compared, for instance, to the Keban, Atatürk, or (the yet-to-be-built) Ilısu Dam. The sacrifice of nature seems too great for electricity production that would only satisfy a minute percentage of the country’s needs. But if their estimated production is negligible, their estimated cost (up to two billion dollars) is not. We could then easily assume that the dams in the Munzur Valley are built only to profit private Turkish and foreign (in this case Austrian and American) construction companies. But as a national project financed by the Turkish State, dams also benefit nation-building at large. Dams in Munzur and elsewhere, just like roads and bridges, allow the state to “mark its territory” and inscribe its particular vision of modernity into contested geographies. In the region of Tunceli, after the suppression of the 1938 Dersim Rebellion, engineering projects became one of the tools with which the state reinforced its sovereignty. When attempting to transform the rebellious, backward, Kurdish valley into a civilized, modern, Turkish province, infrastructures became tangible signs of “civilization” in the landscape. Along with other state institutions, these contested infrastructures were Turkey’s bid to connect Dersim to the rest of Turkey and the civilized world (Le Ray par. 44). None of the dams built in the Munzur Valley today remain uncontested. 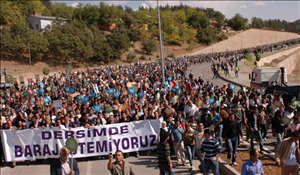 More than 20,000 people, for instance, gathered in Tunceli in 2009 as water levels began to rise behind the Uzunçayır Dam. Too late to stop its construction perhaps, but a clear sign directed at the state against the commodification of water. Local activists keep their eyes and ears open, and remain organized to resist any unwanted projects. Tunceli’s mayor claims that her citizens can react to any state decision in the valley within five minutes. One strategy adopted involves camping near the river as soon as construction work begins. Another consists in making use of one’s body to block drilling machines. And, while activists put their lives on the line to fight dams, private security companies and the state jandarmas try to stop this form of civil disobedience. The campaign to “Save Munzur” is not unique in Turkey. It is part of a larger national, and global, environmental movement against dams. If the Munzur Protection Council has direct links to Tunceli, other NGOs have ties to human right groups, workers unions, or other local municipalities across Turkey. Anti-dam organizations such as the Initiative to Keep Hasankeyf Alive and the Platform for Brotherhood of Streams (DEKAP), as well as activists in Allianoi and the Fırtına Valley, have also joined in solidarity the battle in Munzur. Likewise, journalists, academics, artists, and musicians such as Aynur Doğan and Ferhat Tunç, have also participated in the fight. Far from a desperate struggle against the inevitable, activists have known some successes. A lawsuit filed by Barış Yıldırım at Turkey’s Council of State ultimately led to the cancellation of the Konaktepe Dam in October 2010. Awarded to the Konaktepe Group by the country’s Energy Market Regulatory Authority, the license to construct it was in the end withdrawn on the count that environmental degradation had not sufficiently been taken into account. The Bozkaya Dam, also planned without an appropriate Environmental Impact Statement (EIS), was taken to court and cancelled. Designed before 1993, the dams in the Munzur Valley did not, at the time, require such statements. These victories have brought hope to activists and encouraged them to continue the battle. Nevertheless, if dams previously planned without EIS are being abandoned, it would seem that new ones (supposedly more environmentally friendly) are being planned. The Munzur Valley does not have its Hasankeyf; no world famous archaeological site serving as the valley’s spokesperson. Cultural heritage, however, is not absent from the valley. The river itself –the valley’s main artery that has given life to humans and animals over millennia– is a highly symbolic and religious body of water for local Alevis. Altering its shape would destroy its cultural significance. Dams not only affect for the worse entire landscapes, they also hinder the relationship between people and nature. It is this connection, which constitutes a more intangible, perhaps a more fragile, type of cultural heritage, that is threatened by the state’s aggressive development policies. The more or less recent conflicts in the region (such as the 1938 Dersim Rebellion) have also added another layer of cultural significance to the Munzur. Caves in the narrow valley of Laç Deresi are remembered today as the hideouts civilians used before being massacred by the military during the 1938 uprising. The Halvori Cliffs are, according to local sources, the site of both earlier Armenian and later Alevi massacres. Again during the 1938 rebellion, villagers threw themselves off the cliffs so as to not surrender to the Turkish army. 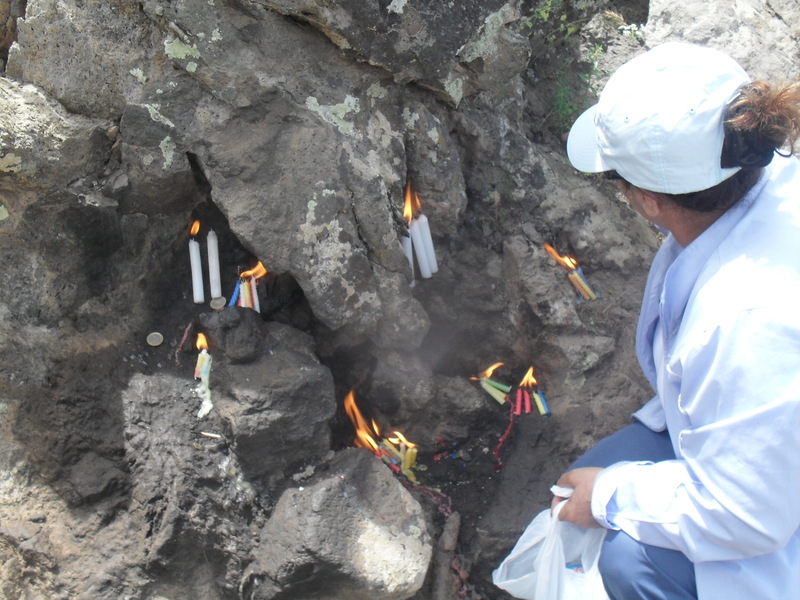 Visitors to these sites, many from the Alevi diaspora who return home during the summer, now leave flowers and light candles in their prayers. Like shrines of ancestral worship, the Munzur Valley is filled with cliffs, caves, rivers, and trees, which have now taken on a particular significance given the traumatic, disturbing, and oftentimes taboo, nature of these relatively recent events. Like the protests in Gezi Park, nature preservation is just one motivating factor behind “Saving Munzur.” Instead, as Marie Le Ray explains (par. 40), it is a battle against the state to give Dersim (Tunceli’s name before 1938) back to herself. Tunceli’s identity is based on a particular understanding of the place of Alevi Kurds in Turkey and their previous traumatic experiences. It is also, and just as significantly, associated with a particular landscape (Le Ray par. 4). The environmental organizations that began fighting against dams on the Munzur River in the late 1990s often trace their struggle back to the 1930s when the army submitted a report to the government in Ankara suggesting that rebellious valleys be inundated by dams (Le Ray par. 44 & Ronayne pg. 60). Thus, dams in the Munzur are perceived by local activists as yet another attempt to annihilate Dersim, an idea older than the 1938 suppression of the Dersim Rebellion itself. In the end, the identity of this rebellious region is, if not completely reinvented, being redefined by environmental activists (Le Ray par. 10). Dams perceived as yet another intrusion of the Turkish State reinforce the self-image of Dersim as Kurdish. Their multinational construction companies have become powerful symbols of capitalism Leftist Dersim can clutch on to. Furthermore, and not surprisingly perhaps, the harm to the environment caused by dams further reinforces Dersim’s Alevi identity; a religion that sees itself in harmony with the surrounding nature. In other words, Dersim is now not only Alevi, Kurdish, and Leftist… it is also Green. Posted in Anthropology, Dams, Environment, Ethnography, Infrastructures, Political Ecology, TurkeyBookmark the permalink.